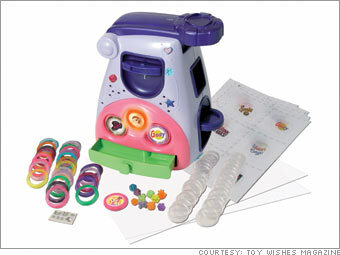 This activity toy is just the thing for creative tween girls, according to Toy Wishes magazine. Pick a picture from a magazine or the Internet and put it in the Spotz Maker and you'll get a cool collectible button. Spotz also has its own Website at Spotzgirl.com.